We are a boutique design practice providing our clients a high level of service and efficiency. We celebrate the needs of our client, creating affable places and developing a unique architecture for that time and place. Opat Architects has experience working with multiple stakeholders, community groups and funding sources including private, community, DHS & DEECD. Opat Architects was established in 1998. Opat Architects has completed an emerging body of unique residential, multi residential, educational and commercial ranging in value from $300k to $5M. We have worked in the inner city and regional Victoria. Our work is designed with flexibility, longevity, future needs, functionality and economy in mind. We endeavour to optimise design results. Opat Architects enjoys collaborating with clients. We use an iterative design process as away of finding meaningful and optimal design solution. In addition to being a dad and running the practice, Rowan maintains an active role within the profession. 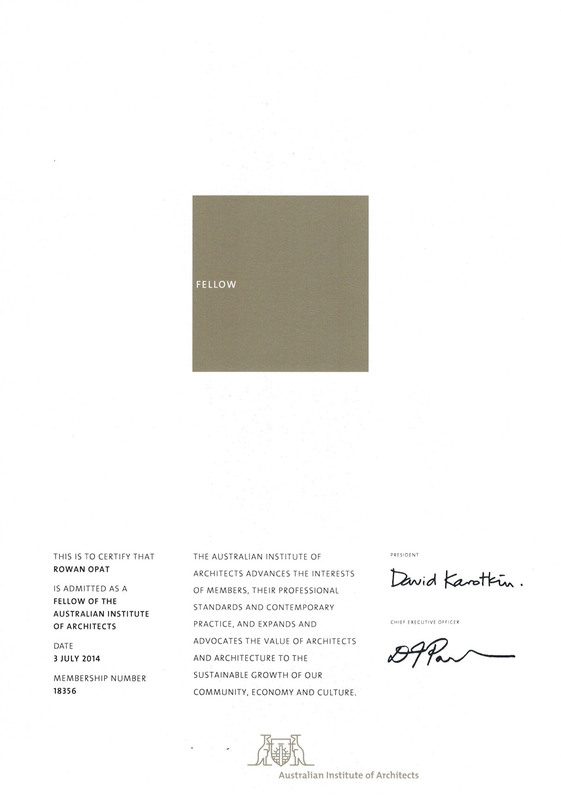 Rowan was awarded the 2012 Emerging Architect Prize by the Australian Institute of Architects (AIA). 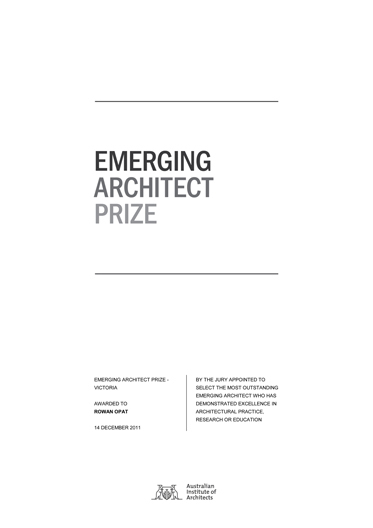 He became a Fellow of the AIA in 2014. 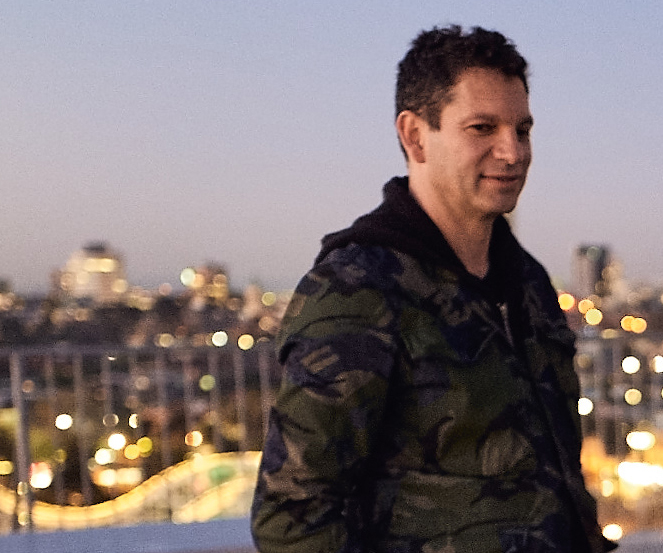 Since 2000 Rowan has intermittently supervised Architecture Design Studios at RMIT. 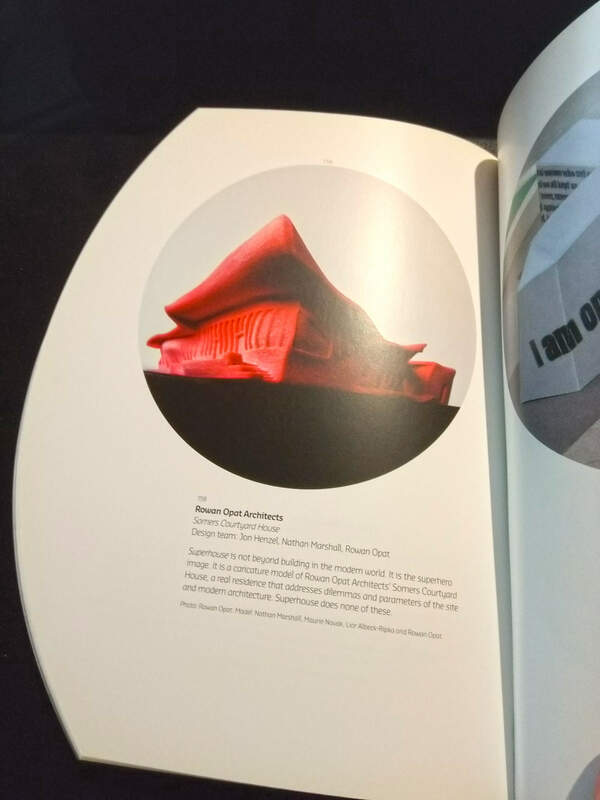 Rowan is an examiner at the Architects Registration Board of Victoria and served on Architecture Accreditation National Review Panels. Rowan was an AIA Victorian Chapter-Elected Councillor from 2014-2016. 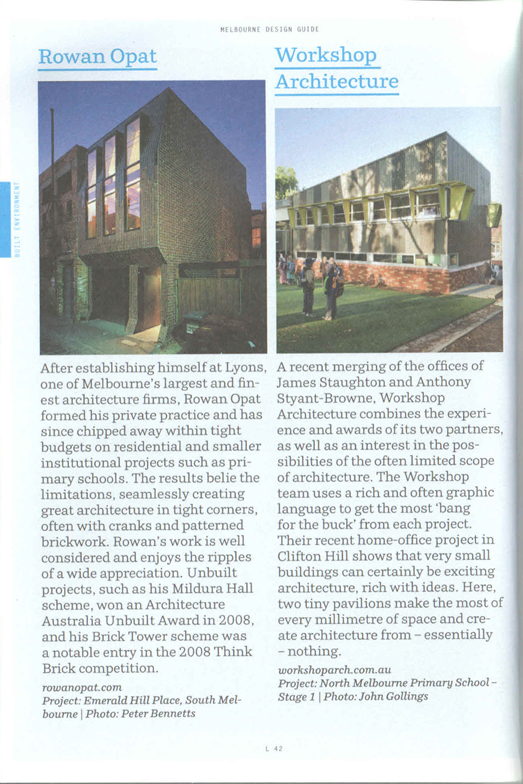 Rowan is a memeber of the AIA CPD Advisory Group.